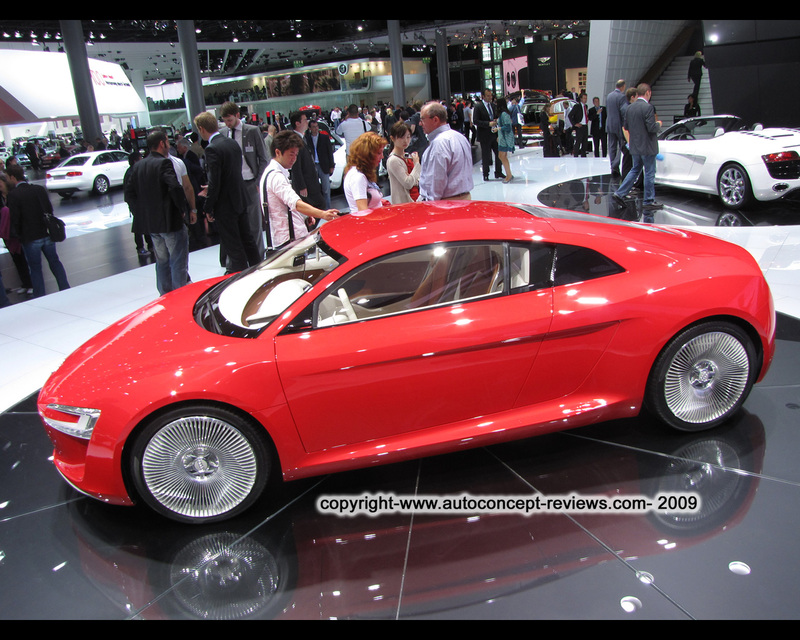 Audi presented the e-tron concept at the 2009 IAA Frankfort Motor Show. 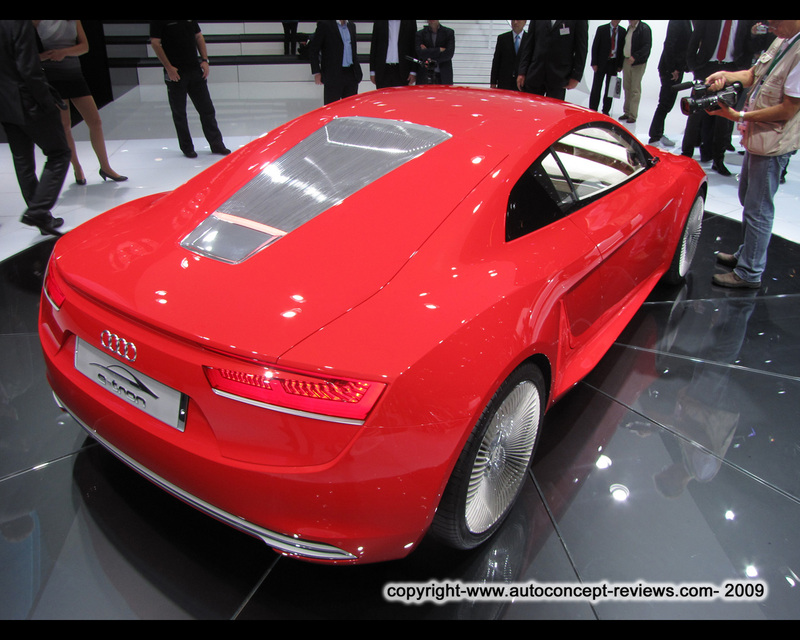 The Audi e-tron concept is represents a high-performance sports car with a purely electric drive system. 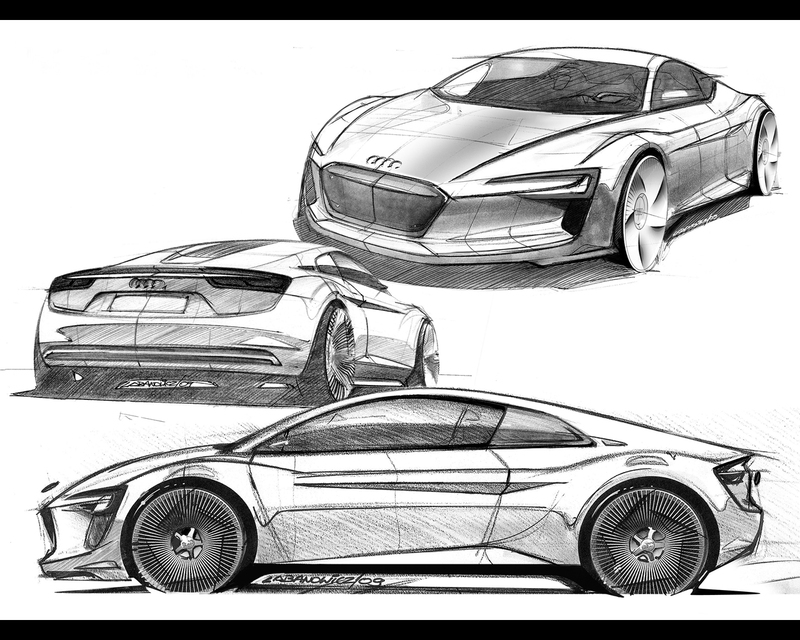 Four electric motors, two each at the front and rear axles, drive the wheels, making the concept car a true quattro (four-wheel drive in Audi language). Producing 230 kW /313 hp and 4.500 Nm (3,319 lb ft) of torque, the two seater accelerates from 0 to 100 kph ( 0 to 62,14 mph) in 4,8 seconds, and from 60 to 120 kph (37,28 to 74,56 mph) in 4,1 seconds. The lithium-ion batteries provide a truly usable energy content of 42,4 kWh to enable a range of approximately 248 kilometres. The effective battery capacity is 53 kWh but usable capacity is limited for service life. The batteries are located directly behind the passenger cabin for an optimal center of gravity and axle load distribution. 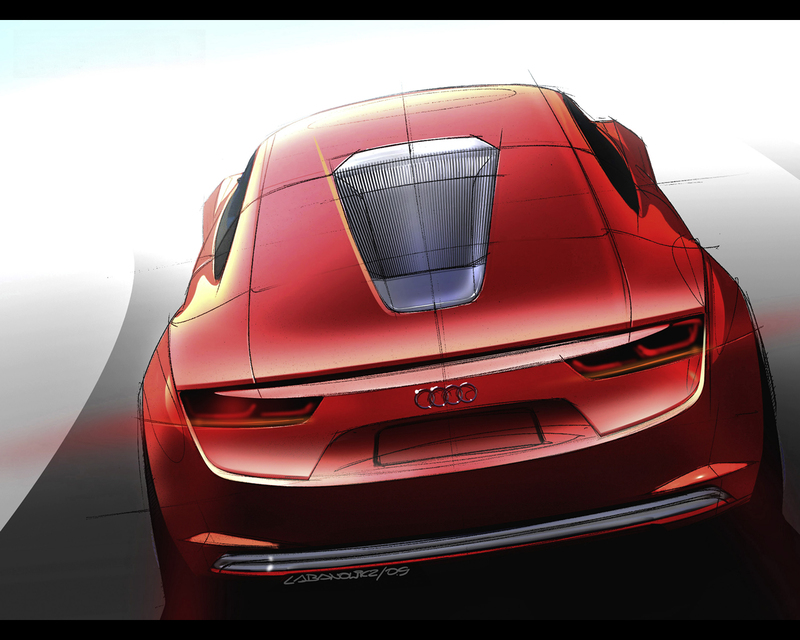 The e-tron driving system is able to distribute the powerful torque of its four electric motors to the wheels as required. This so-called torque vectoring allows for dazzling dynamics and a never dreamed level of agility and precision when cornering. Electric drive system requires some revolutionary approach to many of the technical modules in order to optimize the energy use. A heat pump is used to efficiently warm up and heat the interior. The drive system, the power electronics and the battery are controlled by an innovative thermal management system that is a crucial component for achieving the car's range without compromising its high level of interior comfort. 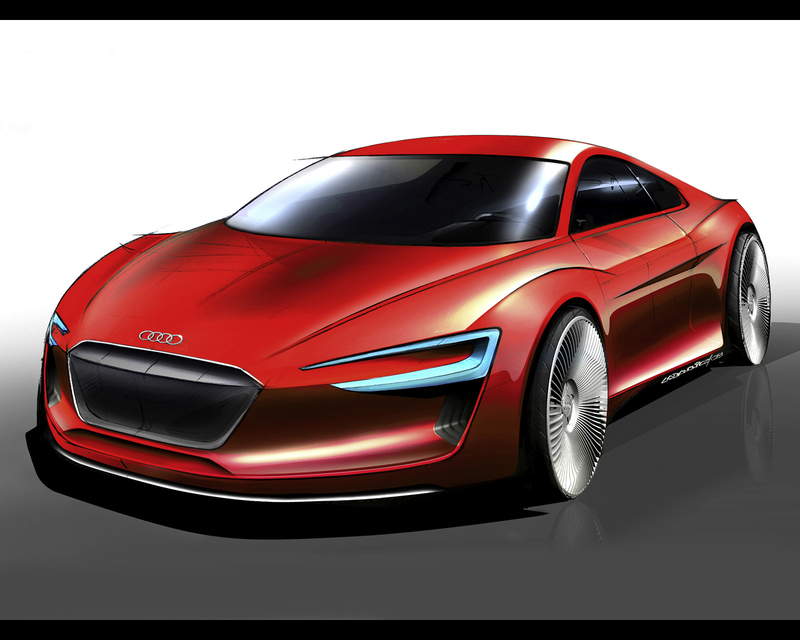 During the presentation Audi representatives emphasized that electric driving potentially offers numerous advantages. Electric cars reduce the dependence of transportation from petrol. They produce no direct exhaust emissions. 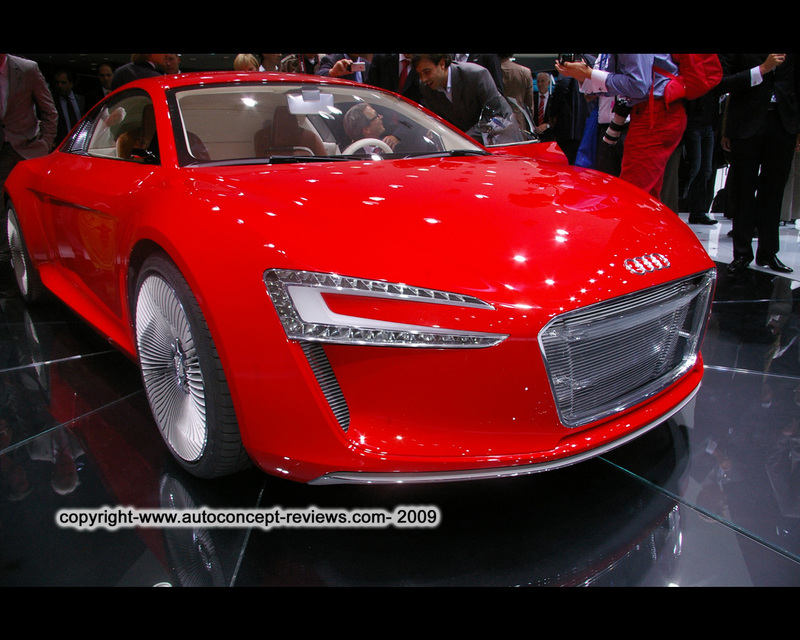 Electric drive systems are also significantly more efficient than combustion engines. All the torque is essentially available the moment the driver steps on the accelerator. There is still, however, a lot of work to do before electric cars are ready for volume production. The greatest challenge is the integration of the energy storage system; acceptable range and performance requires a traction battery that is heavy and takes up a lot of space. 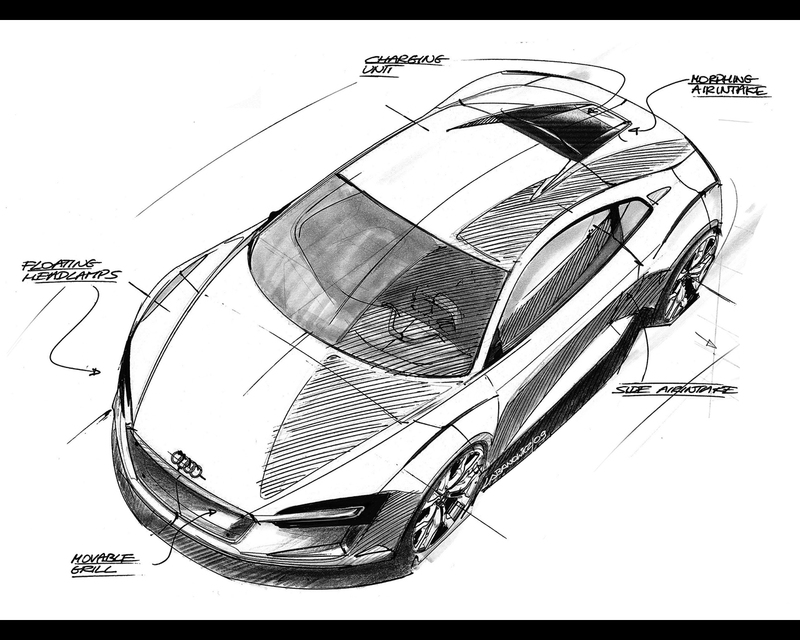 Audi is taking a new approach to offset these disadvantages with a systematic lightweight construction concept and an optimal configuration of all the components for the electric drive. The battery system is water-cooled for optimal performance and service life. A new design element in the Audi e-tron are the air intakes in the single-frame grille and in front of the rear wheels. They are closed flush under normal circumstances and opened by means of flaps when additional cooling air is required. The vehicle body is compact with 1,90 m (74.80 in.) width, 4,26 m (167.72 in.) length, 1,23 m (48.43 in.) height and 2,60 m (102.36 in.) wheelbase. The wheelbase leaves plenty of room between the axles for people and technology. 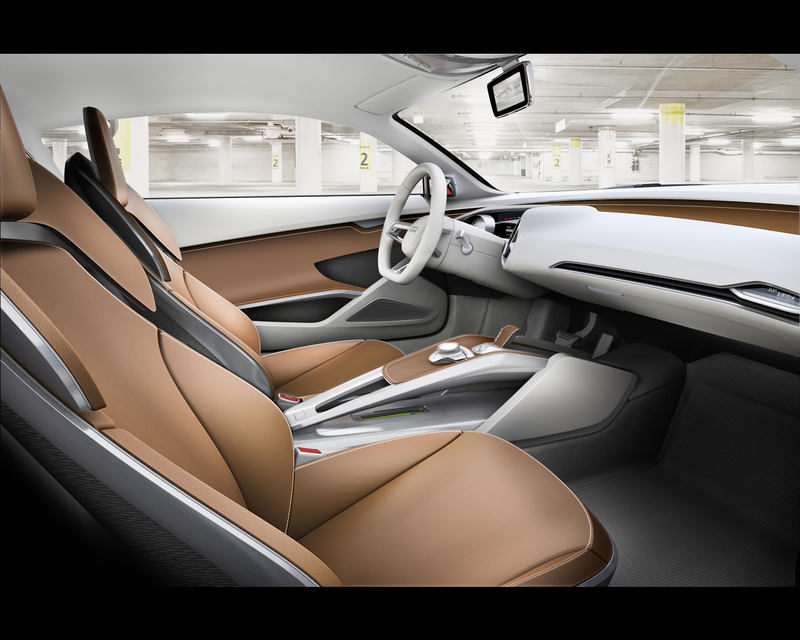 Like with a mid-engined sports car, the cabin of the e-tron concept is shifted far forward to the front axle, leaving room in front of the rear axle for the roughly 470 kg (1036.17 lb) battery unit, the inverter and the power electronics. The two electric motors, which have their own cooling system, are mounted behind the rear axle. 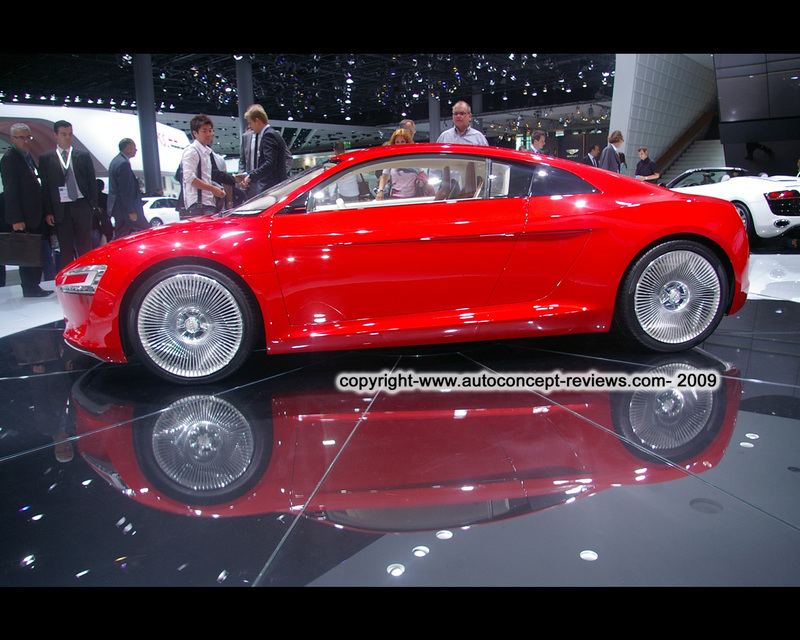 The front electric motors are mounted on the front axle, with their cooling system arranged in front of them. This special package, which features a 42/58 weight distribution, ensures perfect balance for the driving dynamics of the e-tron concept. The top speed is limited to 200 kph (124.27 mph) as the amount of energy required by the electric motors increases disproportionately to speed. With the battery fully discharged, the charging time is between 6 and 8 hours with household current (230 Volts, 16 Amperes. A high voltage (400 Volts, 63 Amperes) reduces this to just around 2,5 hours. 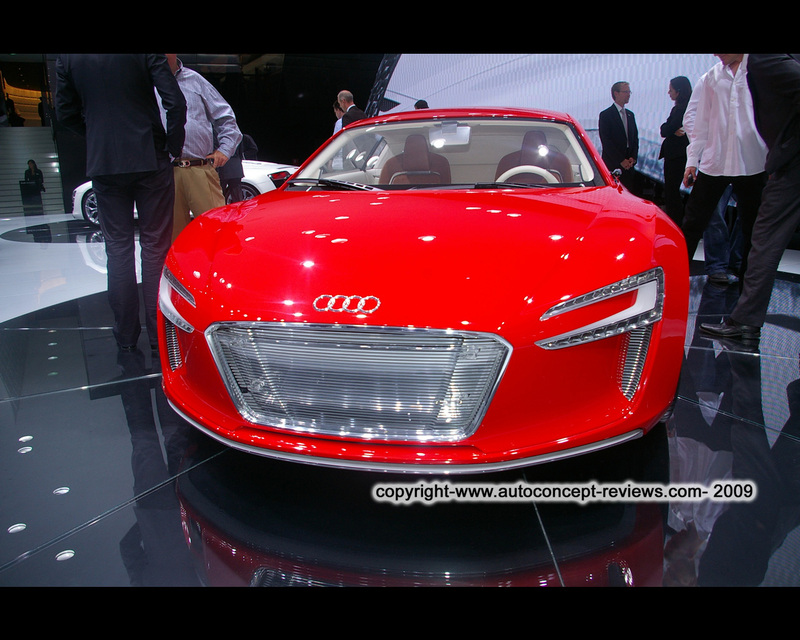 The Audi engineers are working on a wireless solution to make charging more convenient. The inductive charging station, which can be placed in the garage at home or also in special parking garages, is activated automatically when the vehicle is docked. Such technology is already used today in a similar form to charge electric toothbrushes. 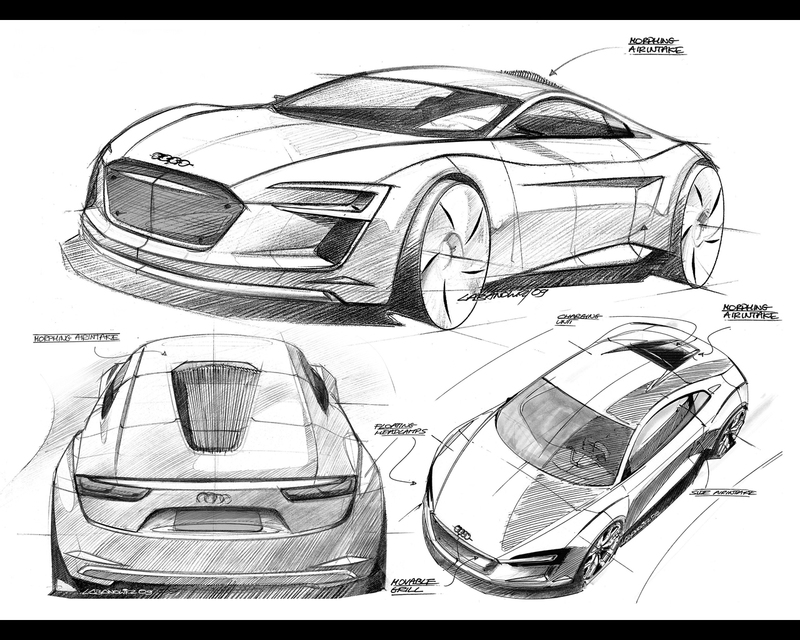 Audi is investing two billion Euros each year in development projects; the primary focus is still on the further advancement of the combustion engine and related technologies but a second priority today is electric mobility. 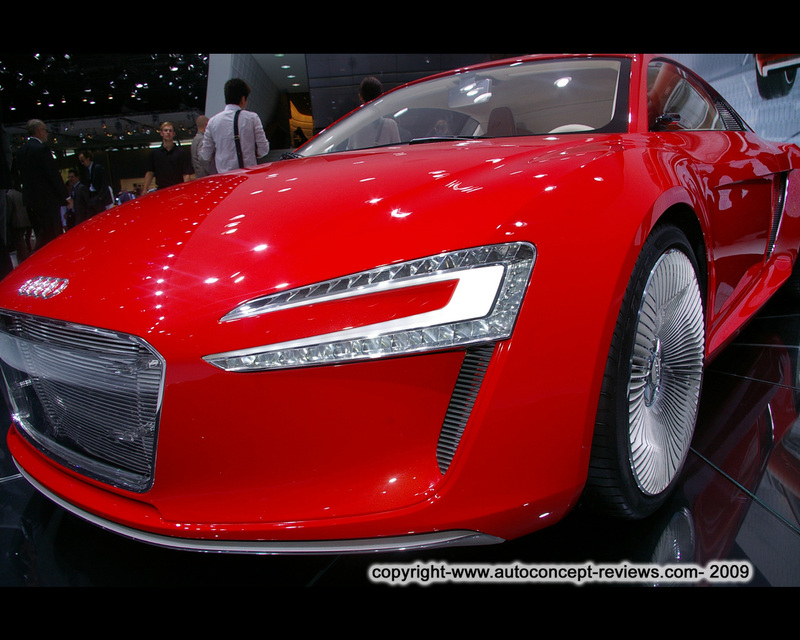 The e-tron concept car is making a powerful statement in this field.